Social Security is often neglected in most retirement planning sessions. People estimate how much of a monthly check they will receive and concentrate on other streams of income as much as possible. That is a mistake. If you plan correctly, you can increase the amount you will be able to draw from Social Security. Here are a few tips. Delay receiving benefits. 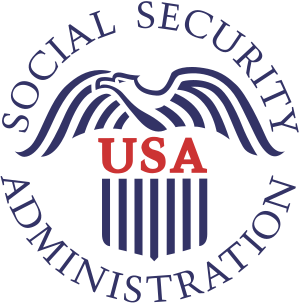 Each year that you avoid drawing your benefits, until age 70, they increase by about 8% based on the Social Security Administration’s ”delayed retirement credits”. Some couples can pad their benefits by $60,000 by following a file and suspend strategy. In this strategy, the higher income earner plans to delay their benefit until age 70; however, they are allowed to claim their benefit at their normal retirement age and then immediately suspend it. That way, their benefit amount keeps growing(from delayed retirement credits), but since the initial claim was suspended, their spouse, at full retirement age, can file a “restricted” application to claim spousal benefits based on their spouse’s record, but not using their own benefit. Generally, spousal benefits are up to 50% of the other spouse’s monthly benefit at full retirement age (some age restrictions apply). This allows the spouse to add delayed retirement credits until they reach age 70, thus padding their monthly checks. While these strategies may not work in every situation, they do point out that you must careful plan a Social Security strategy. These are your benefits, why not maximize them?